Potter, academic, painter, sculptor, performance artist, inspirational speaker. 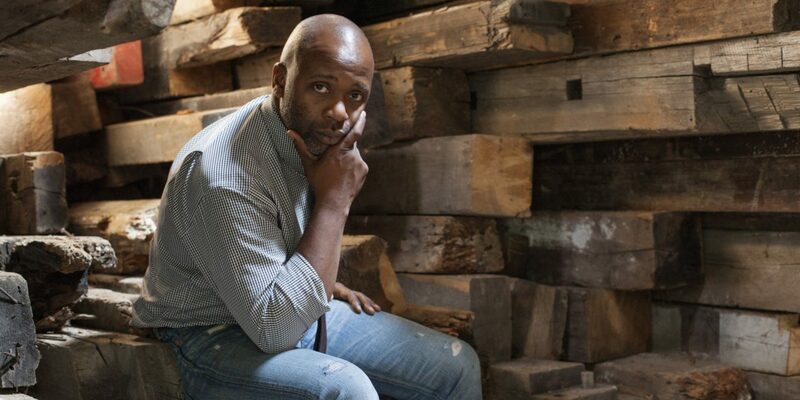 What sounds like a list of those attending perhaps a convention for the arts is actually a list of accolades artist Theaster Gates has made for himself. Native to the West Side of Chicago, Gates first became interested in performance and arts at his family’s Baptist church. His passion for the arts led him to pursue a bachelor’s degree in Urban Planning and Ceramics from Iowa State University. Later, he received a Master’s degree in Fine Arts and Religious Studies from University of Cape Town. His work balances between fine art, and commentary on past and present social paradigms. 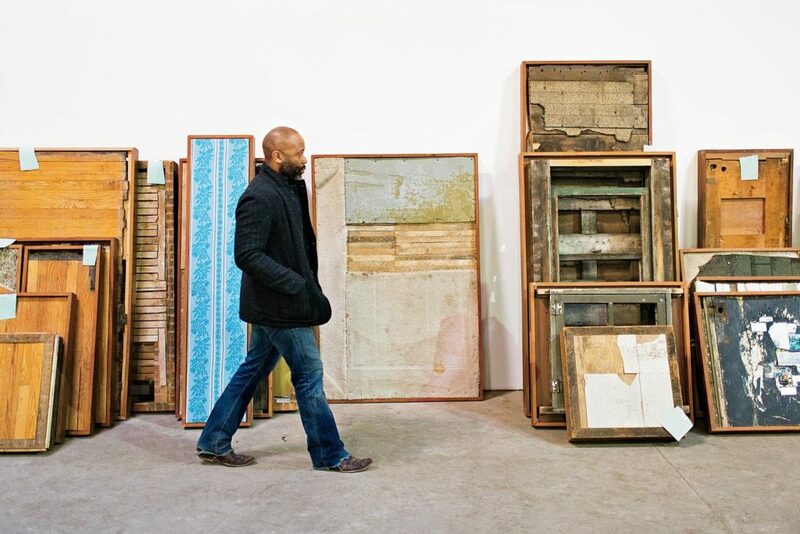 But art is only part of the picture for Theaster Gates. In fact, ArtReview crowned Gates as “the poster boy for socially engaged art.” As his career has flourished, it has taken on a second life—one that combines his love for art, and people. For over 10 years, the Rebuild foundation has been revitalizing South Side Chicago neighborhood, Greater Grand Crossing. While the average household income for Chicago in 2016 was $66,020, Greater Grand Crossing falls short of this number by a whopping $20,000. “It’s a place people leave or are stuck,” Gates says. 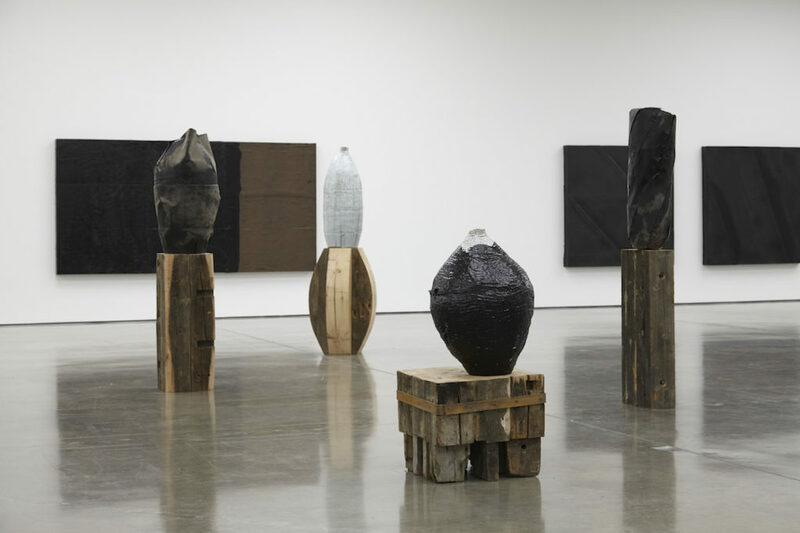 But Theaster Gates and the Rebuild Foundation are working to challenge that notion. His vision? To make the poor neighborhood into a cultural hub that piques the curiosity of people around the world, drawing in visitors in waves similar to those of the French town, Versailles. With millions of dollars now invested in Greater Grand Cross, it appears the Chicago suburb is truly on its way to achieving that greatness. Beginning the process in 2006, Theaster Gates bought and refurbished a run-down candy story from the city for $130,000. Two years later, he bought the building next door that eventually became his Archive House—home to the “micro-library” with golden finds such as Dr. Wax Records and the Johnson Publishing Public Library. A former crack house was transformed into the Black Cinema House—a space for the public to watch screening and partake in discussions about African-American film. His biggest undertaking, however, opened in October of 2015. What is normally a gem to find, Gates was able to purchase a ramshackle, neoclassical former-bank for only one dollar. It needed far more than a fresh coat of paint and new floors. The walls were decrepit, the basement held several feet of standing water. 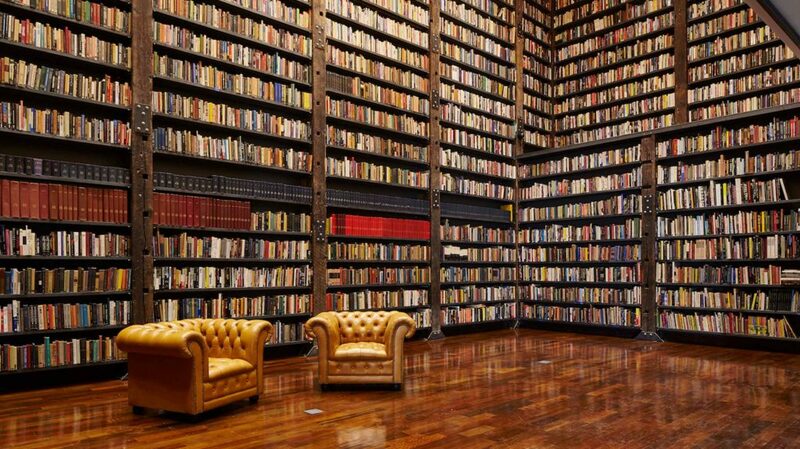 After years of hard work, the Stony Island Bank was truly transformed into a cultural landmine. It serves as a library, a community theater, and a gallery with a gorgeous atrium. Across the United States, gentrification is a growing problem. On the outside, it appears to be a good thing: businesses are coming in, fixing up a run-down and potentially dangerous area, and turning it into a sterling community full of cute little shops. Under the surface, however, all the glitters are not gold. The people who lived in these communities, built their homes and their lives, suddenly cannot afford to live in these areas. They are forced out of their homes, which are quickly replaced by something shiny and new. 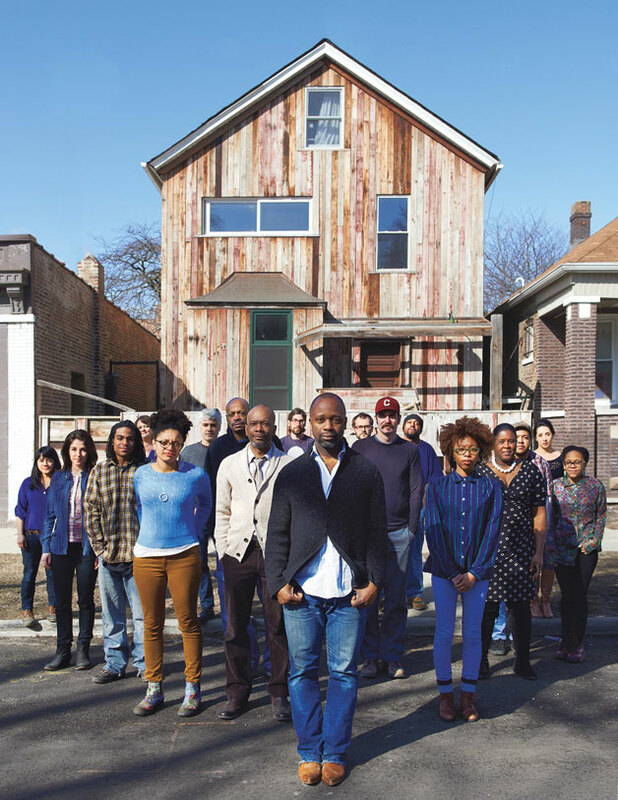 Theaster Gates assures that gentrification is not the effect his work is having on the area. He is building new cultural hubs, certainly, but he isn’t pushing the current residents out. The idea is to create a space for these people to find solace, and to feel that they can thrive where they live. 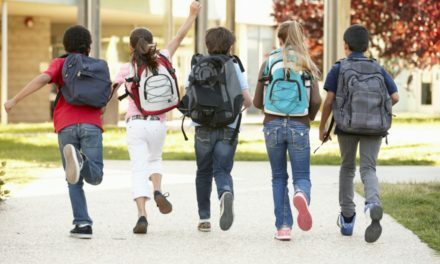 The goal isn’t to tear down the current community to create something new, it’s about building up the community to achieve heights they never thoughts they could.